Amber Comments: I have to make a comment here before we go any further with this post. 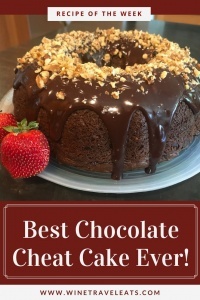 When I saw in my email the words April and chocolate cake, my heart froze. I mean FROZE! You see, April is a cake whisperer. I’m not kidding when I say this. 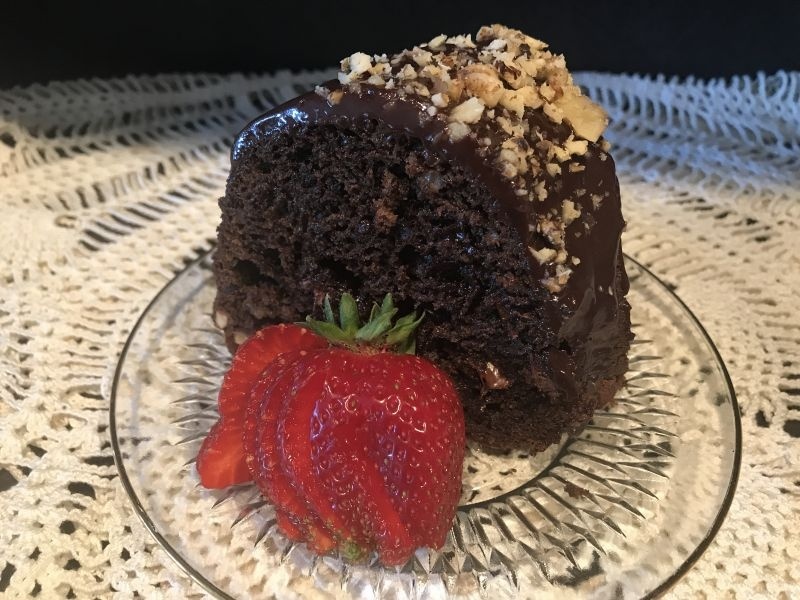 April makes AMAZING cakes and I thought she was going to share her super secret (I have been friends with this woman 20 years and I don’t have it) chocolate cake recipe. But alas, we get a cheater’s cake. 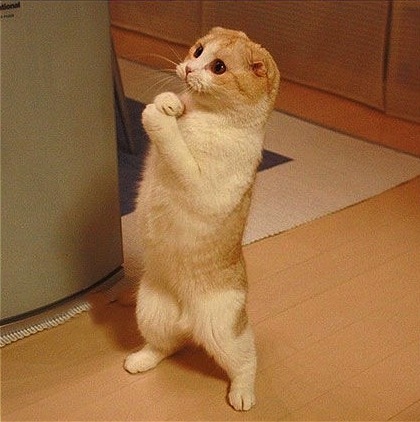 I am sure there would be riots in the streets if her secret cake recipes ever got released but I live in hope…. While pondering what I was going to share with you this coming week, I gave a great deal of thought to the time of year, available fresh local produce while at the same time thinking about what I have already posted. I want to have a nice assortment of main dishes, side dishes, hors-d’oeuvres, and desserts. Sometimes the recipes take a little work or just a lot of steps, and I was trying to think of something I make all the time that is super easy, but something that I always make up! Before you start judging me, let me say that sometimes you just need a “cheater” recipe. No one has to know but you. 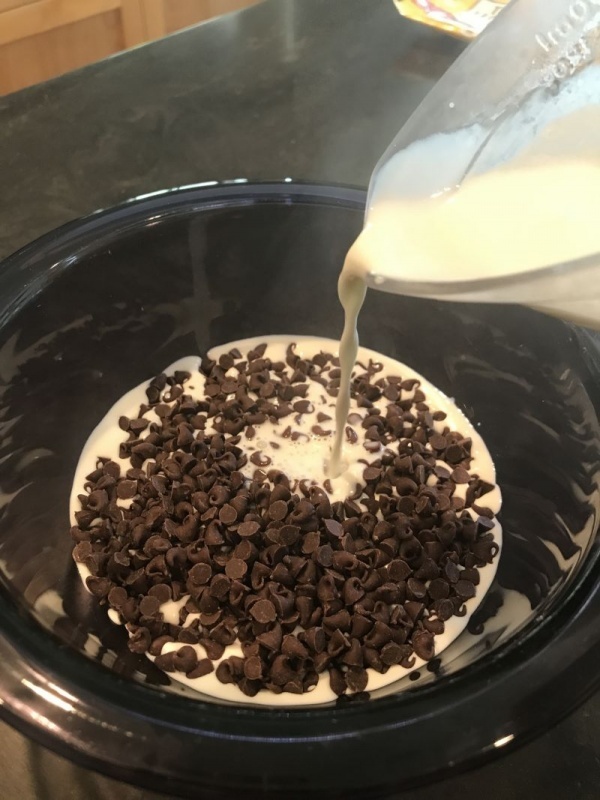 I am going to share with you MY cheater recipe, and it’s one I make often and I just sit back and enjoy the compliments. I always keep the ingredients for this delicious cake on hand, because I can whip one up in a matter of minutes. Once you taste it, you will want to keep those ingredients on hand also. You don’t have to tell anyone that it’s a “cheater” recipe….it can be our little secret. I promise. 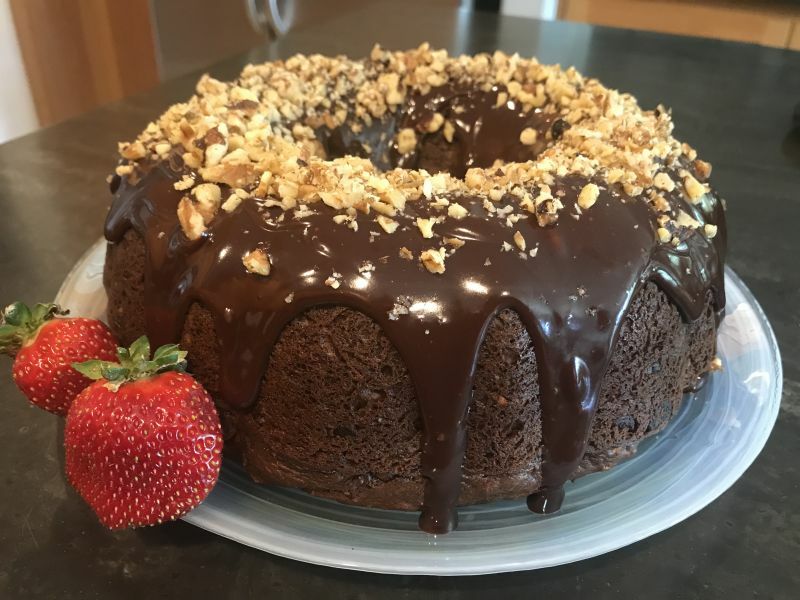 You are going to need a Bundt pan for this recipe. I have two, and I honestly got one for 50 cents at a thrift store. It seems that women just don’t use them anymore. If you don’t have one, check your mom’s cupboard before you go buy one. 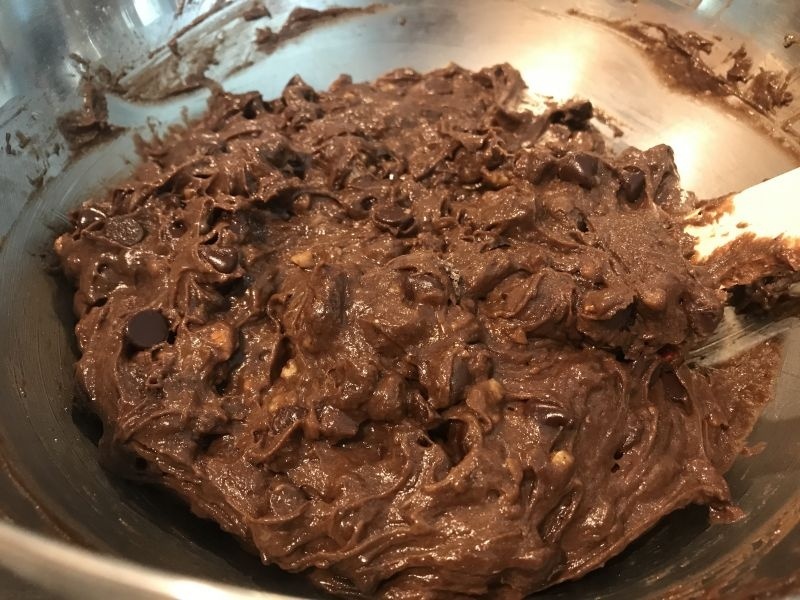 My guess is that she has one in the back of her cupboard, and although it may be a little dusty I am sure she would give it to you; especially if you promise to make this recipe for her! 1. Preheat the oven to 350 degrees. Spray the Bundt pan generously with non stick spray and set aside. 2. 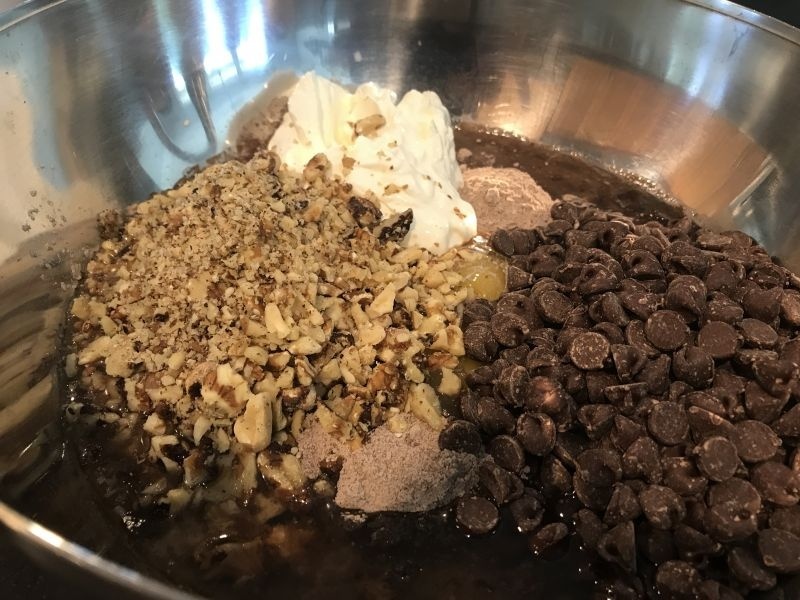 In a large bowl, put the dry cake mix, instant pudding mix, eggs, sour cream, oil, water, 2 cups of chocolate chips, and 3/4 cups of the nuts. Mix well by hand. 3. 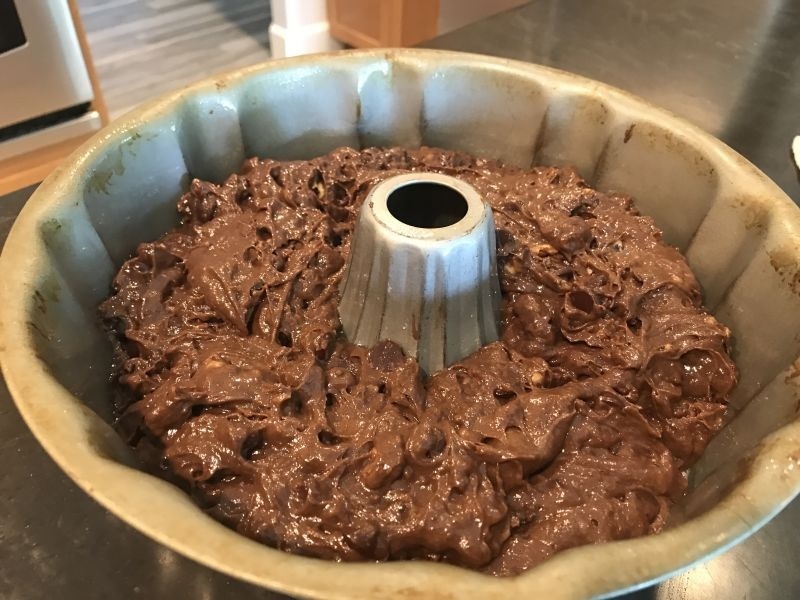 Spoon the batter into the Bundt pan and spread evenly. 4. Bake at 350 degrees for one hour or until toothpick in center of cake comes out clean. 5. Remove from oven and allow to cool a few minutes. Loosen the edges of the cake with a rubber spatula. 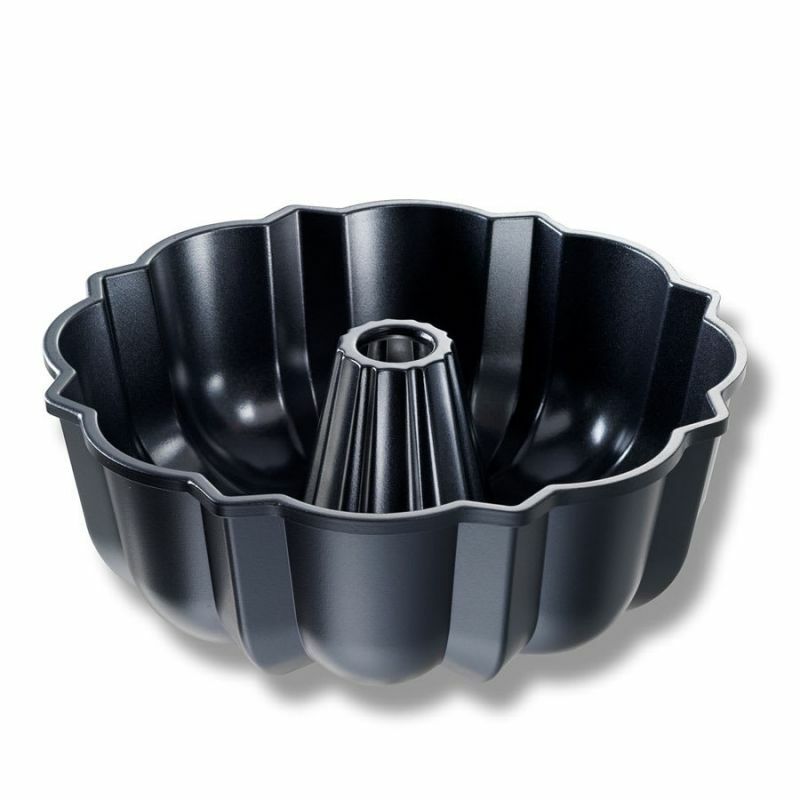 (the rubber spatula follows the curves of the Bundt pan. If you sprayed generously with the non-stick spray, you won’t have any trouble. 6. 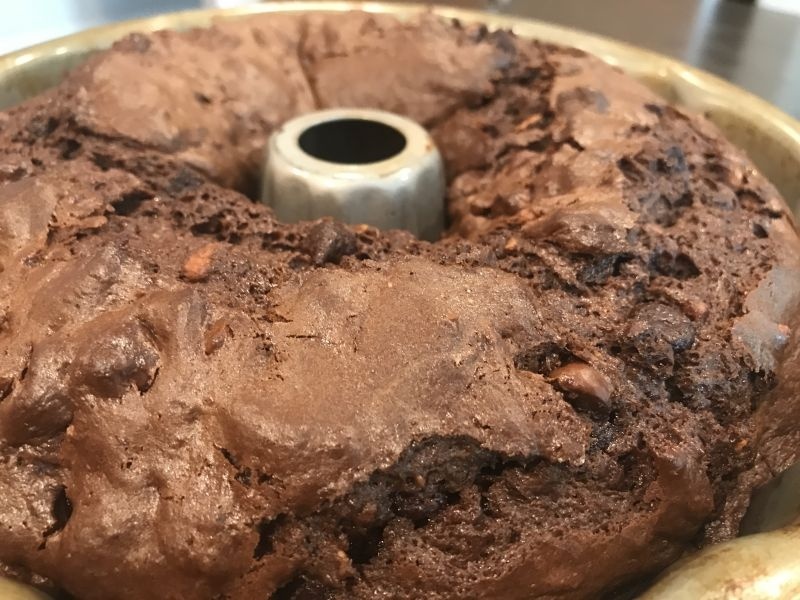 Place your serving platter or plate over the Bundt pan and center as best as you can. Using pot holders to hold the Bundt pan, invert on the plate and gently remove the pan. 7. Allow the cake to cool for at least 30 minutes. 8. 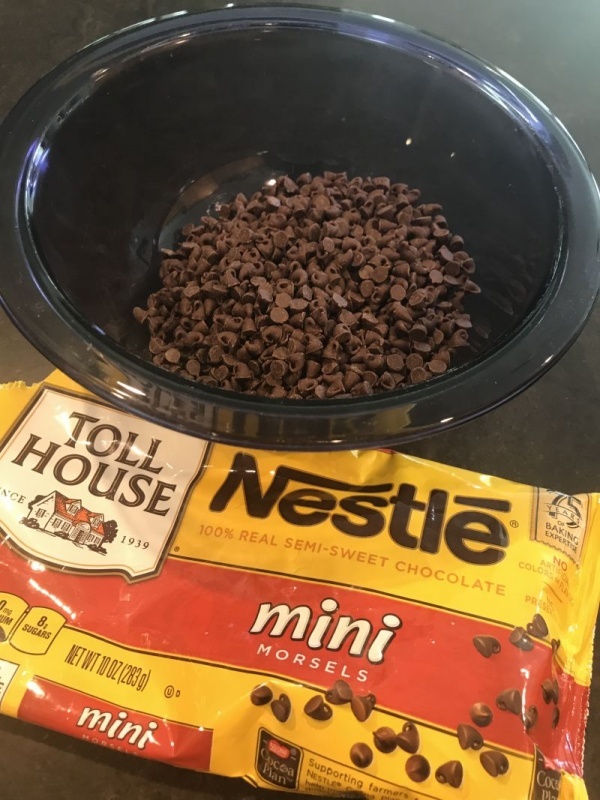 In a small mixing bowl, place 1 cup of chocolate chips. 9. Heat the 1/2 cup of whipping cream in the microwave until hot but not boiling. 11. 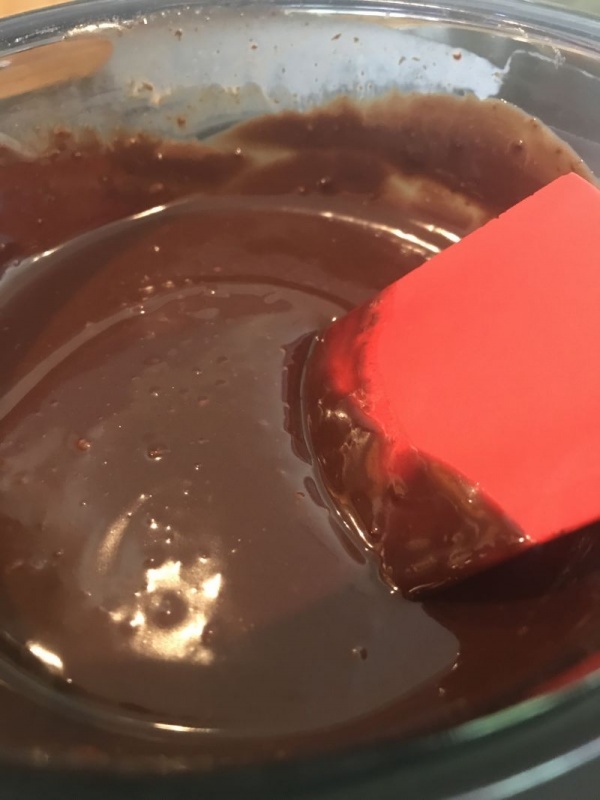 Spoon the ganache over the cake so it gently runs down the sides of the cake. 12. Garnish with chopped nuts. 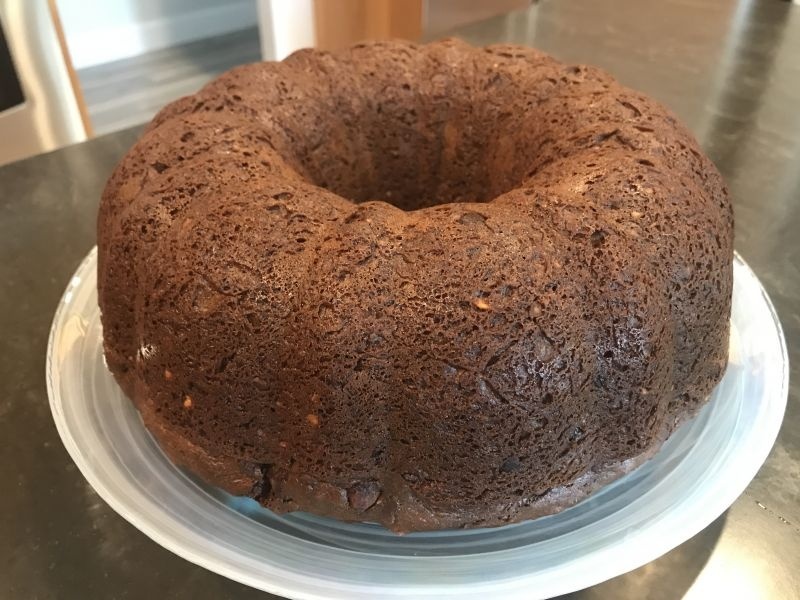 I have sometimes used peanut butter chips inside the cake, with delicious results! This is a perfect cake for a birthday, or just to take to a party or to work. Everyone loves it! Amber comments: You know what would pair beautifully with this cake besides a huge cold glass of milk? A lovely glass of ruby port. 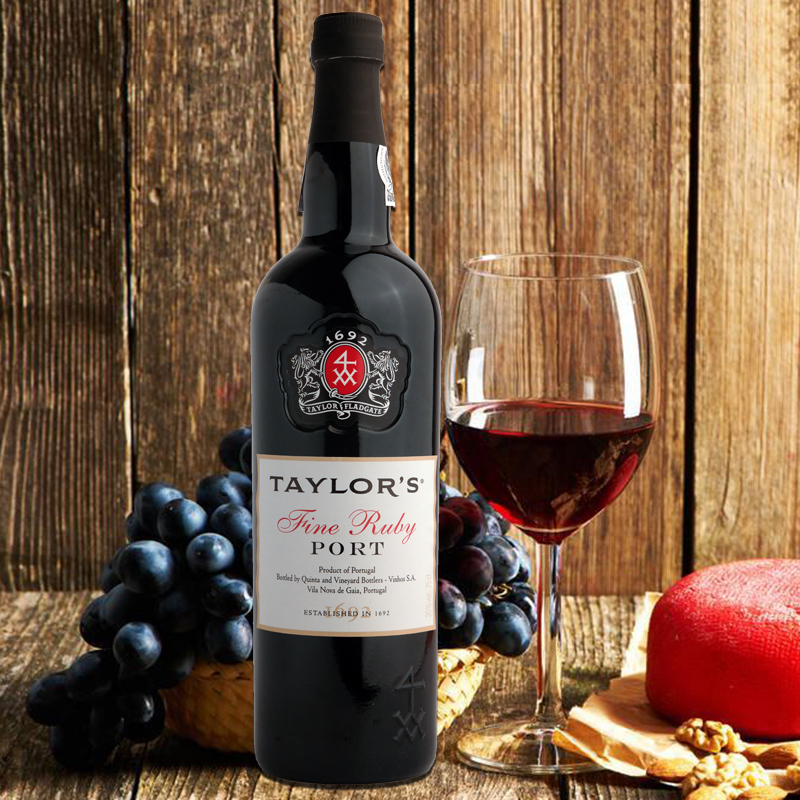 Port and chocolate go beautifully together. And remember, when you put two sweet things together it lessens the sweet flavor of each in the mouth. Yummy! Wow. My mouth is watering. 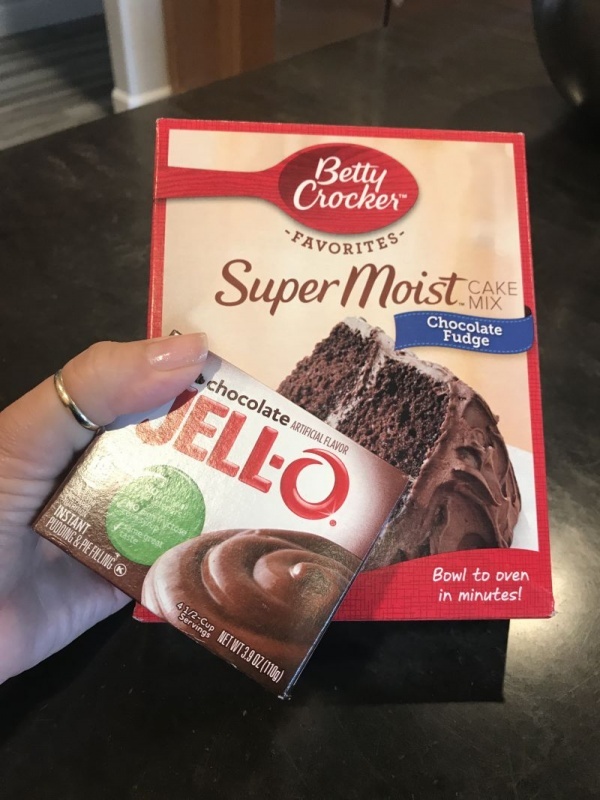 This is a great cheat – moist and delicious. I can’t wait for you to try it! It’s my family favorite! I love this idea! It reminds me of a cake my mom used to make, with Duncan Hines cake mix, instant vanilla pudding, crushed pecans, and a dark rum syrup. One of my favorite things to this day. I’ll have to make this version for my husband, who is a chocolate maniac. Thanks for sharing! I have been making this for decades—and I bet it will bring sweet memories to you also! My daughters can’t believe I shared this old family favorite! But don’t we need a simple hack once in awhile! Enjoy!! It is! Give it a try and it will become a favorite! I made this tonight and I LOVED IT! I was leary about the walnuts because I’m not big on nuts in desserts but they did not ruin it at all! They provided a nice crunch and a nice break up of the chocolate. I will make this again because it was so easy! Thank you April!